For those of you that don’t know me on a personal level, I’m a very judgmental person. Not really, but according to one dude that read my most recent article, I’m only two notches below Hitler on the horrible person scale. This is the article in question, and if you haven’t read it, I encourage you to do so, and I welcome any and all debate (as long as you’re not a jerk about it). My problem with that reader’s opinion is not that he disagrees with me, but rather that it seemed as though he didn’t even read the article. In this episode, I use my co-host Luke Roberts as my sounding board on the topic, and we also cover a lot of other things throughout this nearly one hour podcast. For one, we both really enjoyed the Castlevania Netflix series, and we’ve both been playing a ton of Splatoon 2. 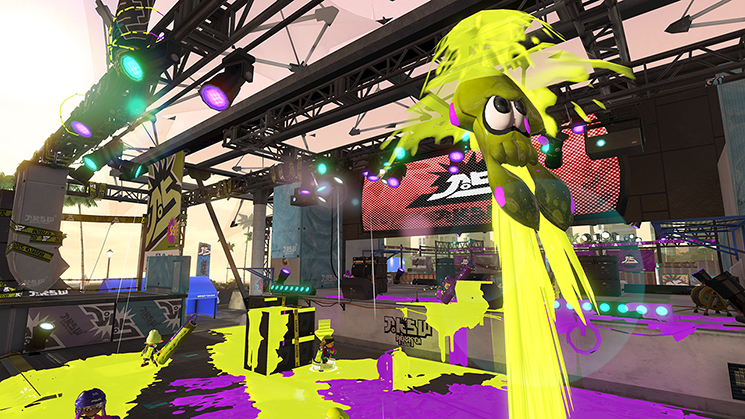 Be on the lookout for a Splatoon related article from yours truly in the near future. As far as news, we step into the future and talk about the weird collaboration between Atari and NECA to bring you the Atari Speak Hat straight out of Blade Runner. Walmart managed to flub the SNES Classic pre-orders, and there’s a rumor that Nintendo filed a patent for an N64 Classic, so we discuss the possibilities of that and what games we’d expect to see on it. 25.50 Horizon Zero Dawn platinumed! If you would prefer a direct download of the show, you can get that HERE!